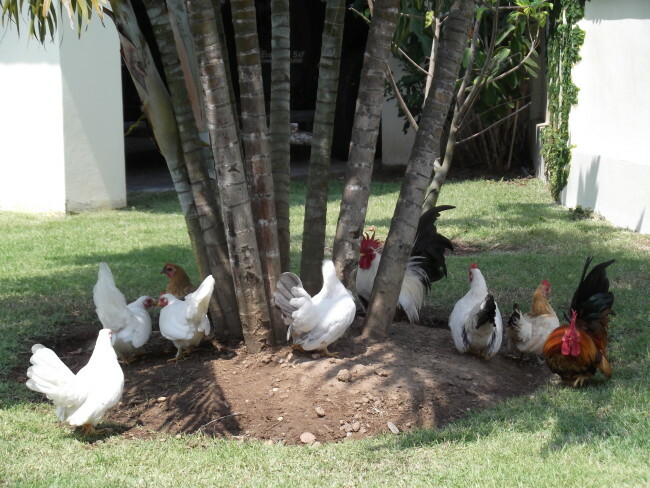 The Japanese is, as the name itself suggests, a breed of chicken that originates in Japan. There, it has been very appreciated for almost four centuries, being one of the favorites of the aristocracy. There are paintings and drawings depicting this beautiful bird that were dated to the first half of the seventeenth century. Having a strong build and short height and legs, the Japanese breed appears most of the time as sitting, not standing. The tail is definitely one of the attraction points from any kind of public, as it is large and curved and very ornamental looking. 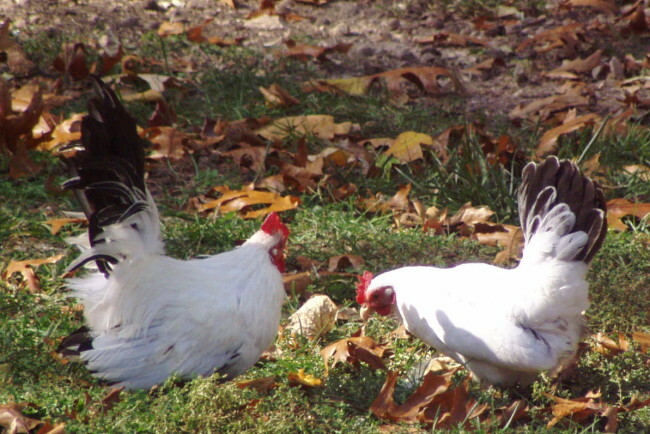 This breed is recognized by the American Poultry Association, but unlike all other breeds, it is an exception when discussing the tail, as in no other case such a tail was accepted, if it were curved by more than 50 degrees angle on the back. 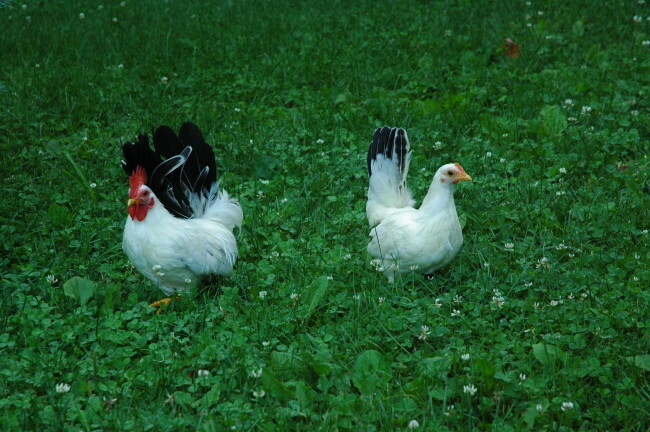 Moreover, the Japanese breed has larger wattles and single combs than most other chicken breeds. The single comb is five points rectangular shaped. There is a wide range of colors that are accepted for the Japanese, but the most common ones are black, gray, black-tailed buff, mottled and brown-red. 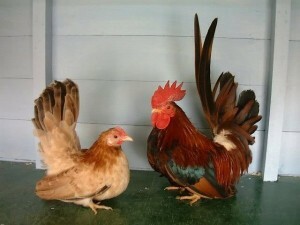 Not having a larger in size counterpart, it is testimony that truly the Japanese is one of the bantams. The personality of the Japanese is quite outstanding, friendly enough to make this bird come and sit in your lap, to allow petting and be held. They are excellent participants of the shows, being rather small in size and friendly and easy-going in nature. Food is not a real problem for these chickens. As long they have enough space at their disposal, their foraging abilities will help them find the food they need. When it comes to care, it is required a higher level than for a lot other breeds. This is mainly because of their short stature, large comb and low kept wings, which expose these birds to getting dirty easier than others and this is a real problem if they are due for participation in shows. Dry, clean bedding and roosting space are best for this purpose. In general, birds having large wattles and combs are recommended to be kept safe from cool temperatures, as they are exposed to frostbite and this is also the case of the Japanese. Genes step in when it comes to keeping the bird for shows. There are usually two types of genes, one short-leg and one regular-leg. Usually the chicks inherit both of them, but when it happens that two short-leg genes are inherited, this usually leads to death in the egg. And this alone is the reason for losing one quarter of the hatchlings, without taking into consideration other potential reasons. The opposite situation, with two regular-leg genes being passed on in the same chick leads to the chick having the legs too long to bear the title of a good quality show bird, which leads to another quarter of the hatch to be excluded from shows due to quality. 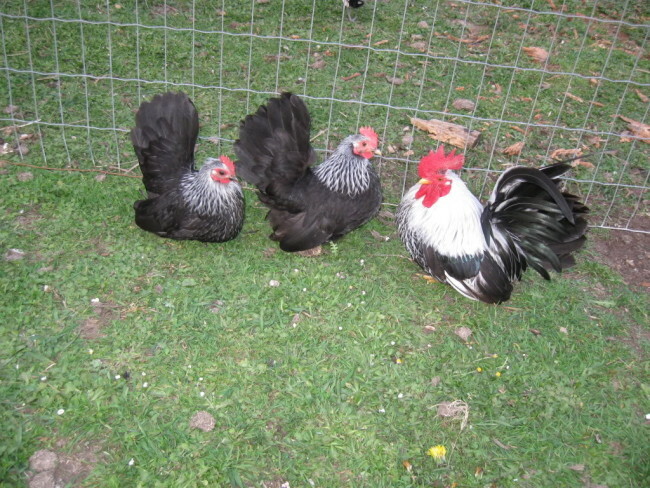 Otherwise, breeding the Japanese is pretty easy, as they are fertile and hens are usually fond of brooding.